Raised in Buffalo New York, Chris thinks adventuring outdoors is the best use of time. Whether on foot or by bike, he’s a fan! Chris was drawn to Silver City by the Tour of the Gila stage race. He still occasionally races his bike, but considers any bike ride or hike a good one. Chris loves the Gila National Forest, an uncrowded natural environment and the sense of community in Silver City. His priorities are providing great service that you can’t find online, and helping to develop better trail networks and outdoor access. Born in Norfolk, England, Martyn developed a love for golf and spent his youth competing across Southern England. In 2002 he traveled to America to play golf while attending University, and completed a Bachelors degree in English at WNMU. During his time at Western he purchased a mountain bike and discovered Boston Hill, Jeff Reese and Jamie Thompson. The rest is history. 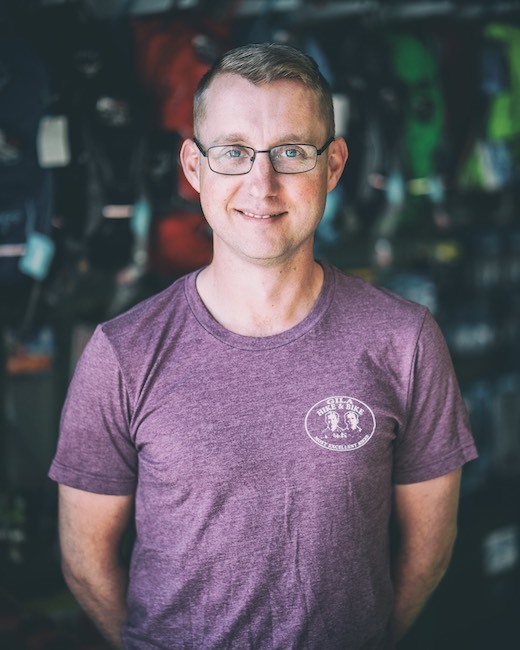 Martyn's grandfather worked at Raleigh Bikes in Nottingham England, so the opportunity to work closely with Head Mechanic Bill Schum helped unearth a passion for cycling and bicycle repair that only compounded with time. A die hard Norwich City soccer fan, Martyn feels at home in Silver City and is excited to be a part of the local cycling community. He enjoys playing and listening to music and is happiest adventuring along side his two children, Addison and Zeyah and his person, Alex. Born in Waterbury Connecticut, Bill Schum graduated from his local high school and joined the Navy. Specializing in ejector seat repair, he spent 4 years of organizing the flight deck of the aircraft carrier USS Constellation. Post service, he traveled across Canada and the United States in a school bus. While moving through the Pacific Northwest cycling found him. For 15 years Bill lived, worked and raced bikes in Northern California. 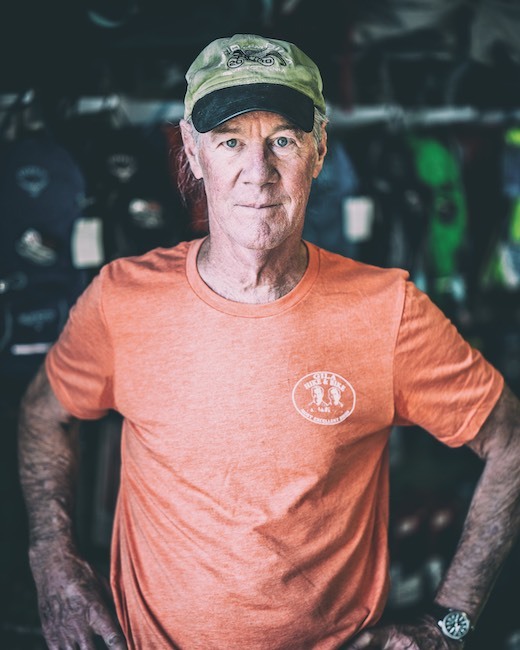 A love for the cycling lifestyle would see him compete in centuries and races, while working in Bike shops and having a hand in the early development of mountain biking. In 2005 he moved from California to Silver City with his good lady Marguerite, and shortly after arriving he was hired by the Gila Hike and Bike. A master wheel builder and resource for determining what is hip, Bill finds enjoyment in downtempo electronica, lugged steel frames and his two Jack Russell Terriers. Erika Burleigh was born in a house in a borough called Plum, Pennsylvania. When she was 13, her father took a job as a professor at New Mexico Tech and the whole family moved to Socorro, and thus became New Mexicans. 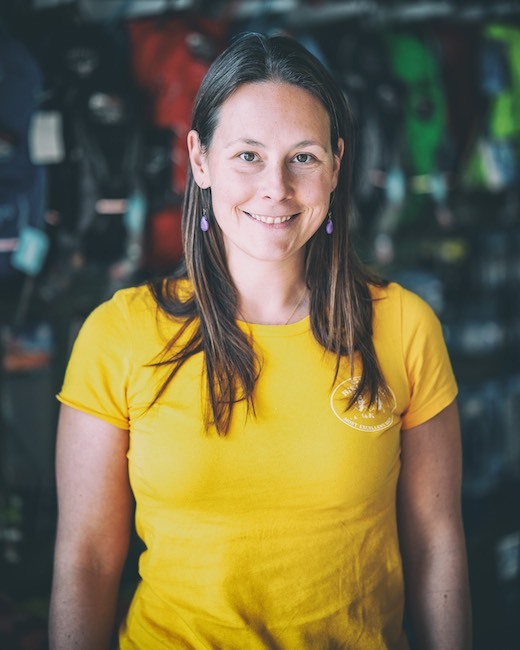 When not painting pictures of pomegranates or people in swimming pools, Erika enjoys the relatively apparent usefulness of wrenching at the Gila Hike and Bike, where she brings her attention to detail and respect for the Mystery to bicycle repair. She keeps a smudge stick in her apron pocket but can't find her lighter. Born and raised in Albuquerque, Taylor will hear no ill word spoken of New Mexico’s largest city! While he claims he grew up in a ‘puddle of gasoline’, his outdoor-centric family prioritized quality time outdoors. Taylor began riding bikes at 5 years old and started racing competitively at age eleven. 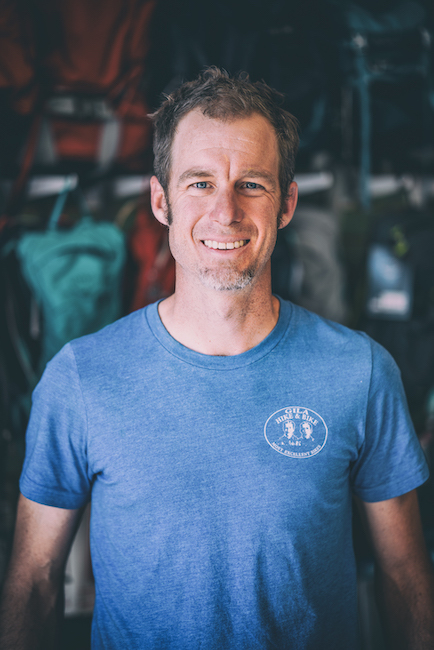 He fondly remembers spending time in the Sandia Mountains and riding his cyclocross bike along the ‘Paseo del Bosque’, a multi-use trail system connecting North and South Albuquerque. Having spent the last six years racing bikes with Albuquerque based cycling team ‘Nero Veloce’, it’s not surprising that Taylor holds the unofficial ‘Hour of Power’ world record (44 minutes and 43 seconds) and the ‘Hurty-Thirty’ world record (the Tyrone mine access road). Unfortunately he didn’t take an electronic device with him on either ride, confirming that he rides bikes for the love of riding. 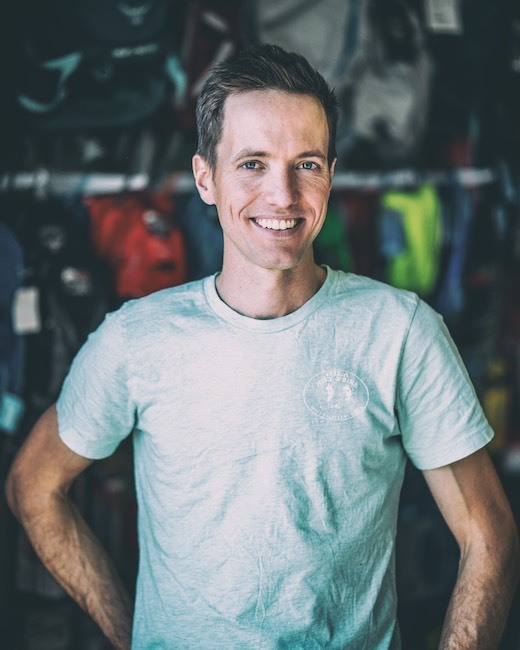 Combine his enjoyment of riding with a professional and driven personality, and it’s easy to see why we’re stoked that Taylor chose Silver City as his home and the Gila Hike and Bike as his work place. Raised in Millbrook, New York, Alex found the Gila Hike and Bike in a very cool fashion; riding across the country on a women’s tour of the Southern Tier. Her cycling trip from San Diego to Saint Augustine meant that she and her group were reliant on bike shops along the route. After two days resting and recuperating in Silver City, she knew she’d found something special in the town and at the bike shop. After a year of working out the details, she moved back! Before her cycling tour, Alex was a food educator and an academic who worked for a culinary non-profit that provided job training and scholarships to inner city culinary high school students in the five boroughs of New York City. 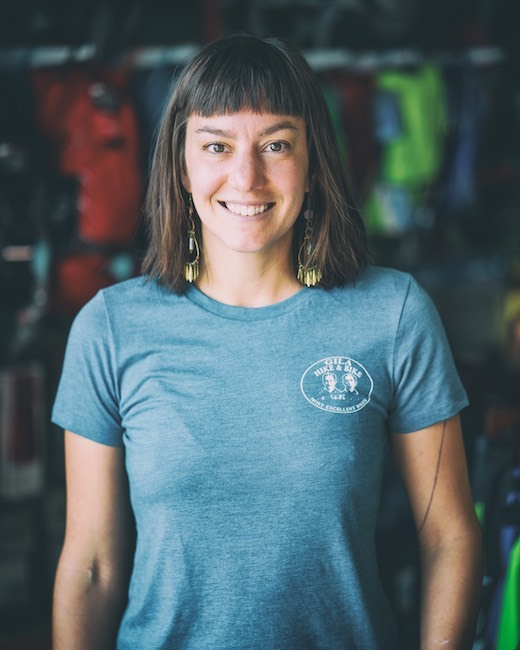 Today, in addition to working at the Hike and Bike, Alex teaches Culinary Arts at the Aldo Leopold High School, and organizes endurance mountain bike races across New Mexico, Colorado and Arizona with Zia Rides. A graduate of the Barnett Bicycle Institute in Colorado Springs, Alex enjoys engaging with folks about the importance of bike locks, hydration and the red Chile over at Nancy’s New Mexican diner. Back in early 2018, fifteen different stray dogs decided to throw a party. One thing led to another and come the morning none of them could remember what happened! Fast forward a couple months and voila, Jacob deGrom-Pearson-Olsen-Doggle was born! Named after the NY Mets Cy Young award winning pitcher, it’s somewhat surprising that Jacob doesn’t have any interest in baseball whatsoever. 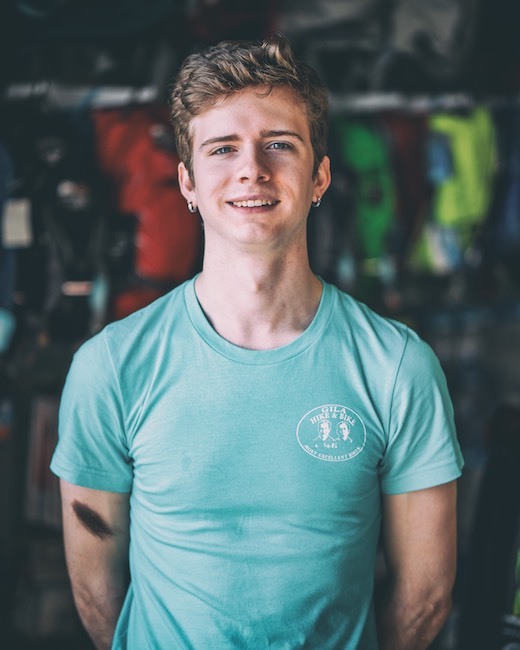 He loves going on hiking or mountain biking adventures with his Mom, Alex and he also loves spending time at the Gila Hike and Bike. Our resident Customer Service Expert, Jacob hopes you come by and see him while he’s ‘working’ in the store.